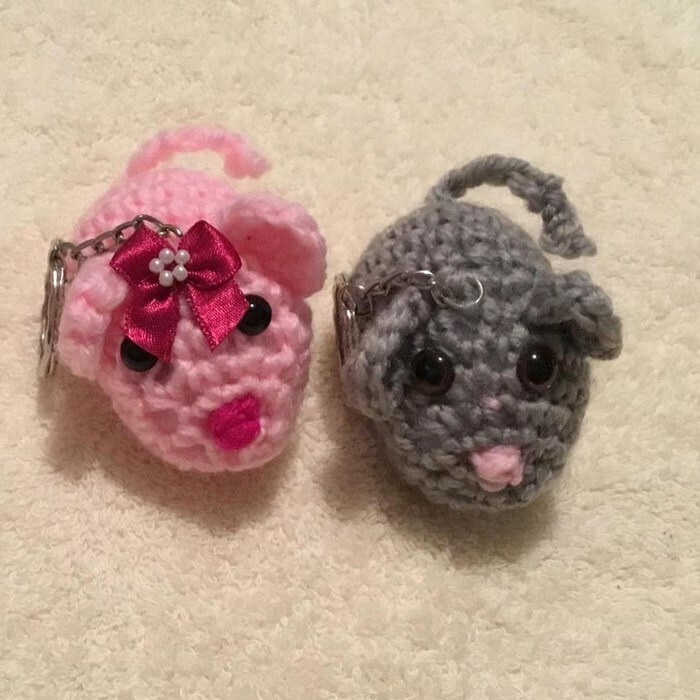 This crochet novelty mouse keyring or bag buddy is perfect for adding a unique touch to school backpacks, handbags or your keys. Handmade in a smoke free environment using 100% cotton or 100% acrylic, safety eyes, a sturdy metal key chain and stuffed with polyester fibre fill. If you are interested in a customised order please message or email us. Please note this item is sold individually and not as a pair.